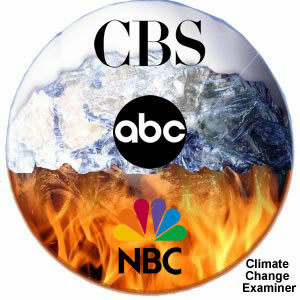 By ignoring the story, ABC, CBS and NBC are highlighting the failures of themselves and much of the mainstream media. Perhaps more importantly they are contributing to their own demise and irrelevance. The Saudi negotiator rejected IPCC chairman Rajendra Pachauri’s defense of the integrity of the panel’s findings — delivered earlier in the plenary session — as “general statements.” “In light of recent information… the scientific scandal has assumed huge proportion,” al-Sabban said. Truth to left-liberals is like garlic to vampires, so I suppose it’s no wonder the world’s watermelons (green on the outside, red on the inside) have been reacting so badly to Climategate. A few days ago we had the hugely entertaining spectacle of climate activist Ed Begley Jr losing the plot completely on Fox news. (aka Tofu-crazed Vegan Goes Postal). Is Google Censoring Climategate? Google Says No. Overall, there’s no doubt that Climategate is a popular topic, no doubt. However, those who want to demonstrate how popular would be better advised to use Google Trends, rather than the far less dependable web search results counts. Phi Beta Iota: CNN is not a news service and does no investigative journalism. It is 24/7 info-tainment for those who cannot or think for themselves. This particular piece is remarkably pathetic.